“Make a joyful noise unto the Lord.” What a privilege it was to sing our Lord’s praises as a family and as a conference at the annual ETAC Thanksgiving Service on 26 Jan at Tamil Methodist Church. With “praise” as the theme of the service, and led by the Emmanuel Praise Choir and Band with their melodious voices and music, a 300-strong congregation worshipped and offered our praises to our Lord and King. The service started with a procession of clergy and lay leaders from the eight ETAC churches, each carrying their church banners. They were followed by the ETAC MYF, ETAC WSCS and the Annual Conference banners. 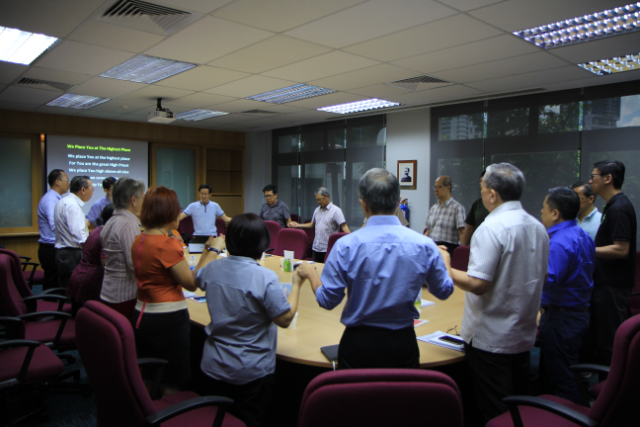 All the ETAC churches were represented, contributing their talents through worship and leading for different aspects of the service. ETAC President, the Rev James Nagulan, preached from Matthew 7:24–27. The President called upon the members to “be wise” and carefully consider the future of the Tamil ministry. In line with ETAC’s theme for the quadrennium—“Renew, Revive, Reorganise and Rebuild”—he urged the congregation to be prepared for changes that would enable us to reorganise and better serve the Indian community in Singapore. Tiki Taka is not some unknown ancient word but the catchy name the ETAC MYF has given to the boys’ soccer fellowship. 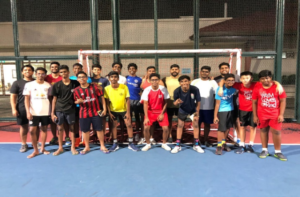 This is a quarterly fellowship event organised for boys with a passion for soccer. The organisers, Noel James and his team, want to encourage the boys to adopt a healthy lifestyle through sports, cultivate strong fellowship bonds and make new friends. The boys, aged 14 to 23, get together for futsal on the Yishun SAFRA futsal court. The young football enthusiasts typically meet for three hours, from 6.00 to 9.00 p.m. They organise themselves into teams and play in a league system. It is now called the Tiki Taka Champions League with a prize to be won quarterly. The youths are very excited and they bring their school friends for Tiki Taka. It has indeed provided a way for the youths to reach out to their friends. The next Tiki Taka Champions League will be held on 10 May at the Yishun SAFRA futsal court. We invite you to bring your friends and join us for an evening of fun and fellowship! Kalaimathi James is the Emmanuel Praise Director and Thangaraju Moses serves as Youth Director with Emmanuel Tamil Annual Conference (ETAC).